Come out and celebrate Hawthorn’s ’22 book South Valley, a collaboration with poets Jimmy Santiago Baca, Mike360, Albert Rosales, and Troy Tapia. A book reading and community discussion will take place on Saturday, April 6 at 3pm at Bookworks on Rio Grande. 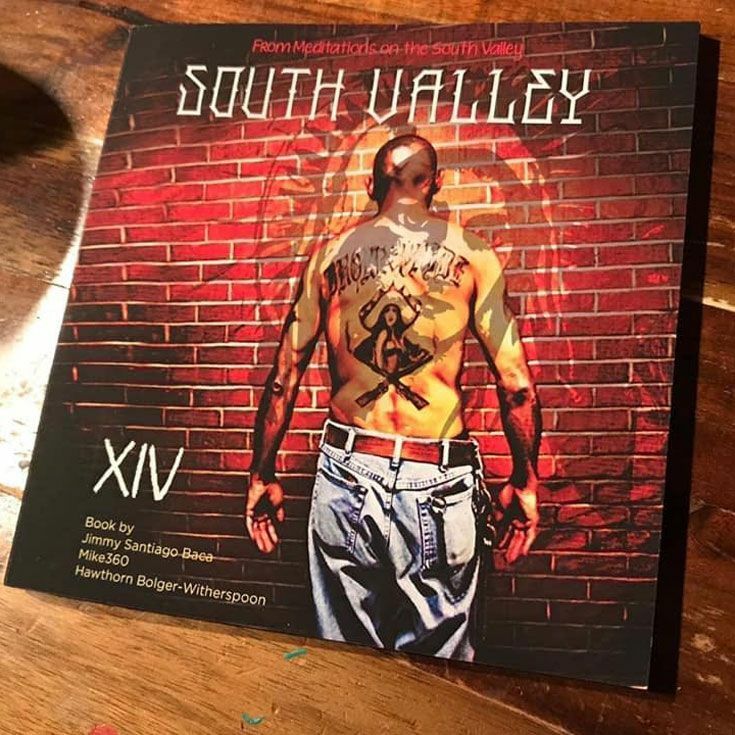 South Valley is about a former gang member who becomes a community activist. 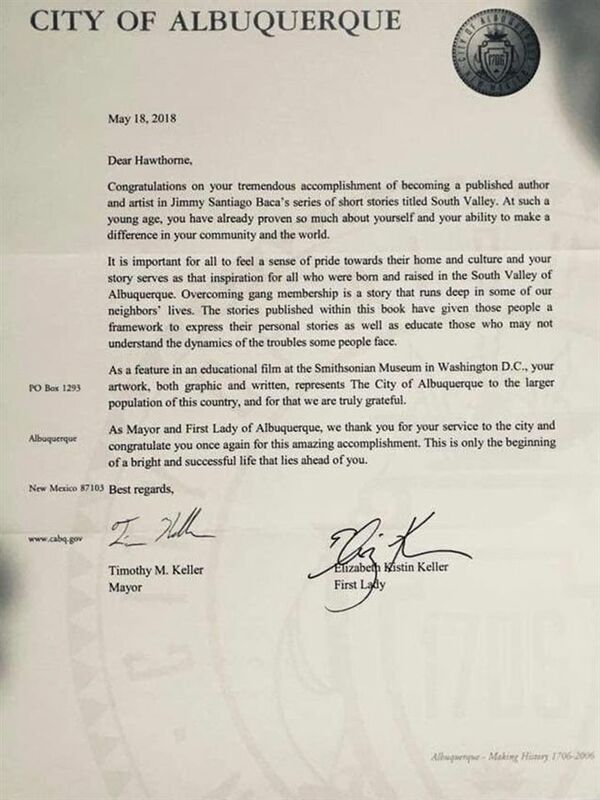 The book is part of a literacy program that Jimmy Santiago Baca, Mike360, and Hawthorn developed to tell untold stories about underserved communities. Now, families in the South Valley and other underserved neighborhoods can see themselves in books and read about their stories in hopes of promoting literacy. 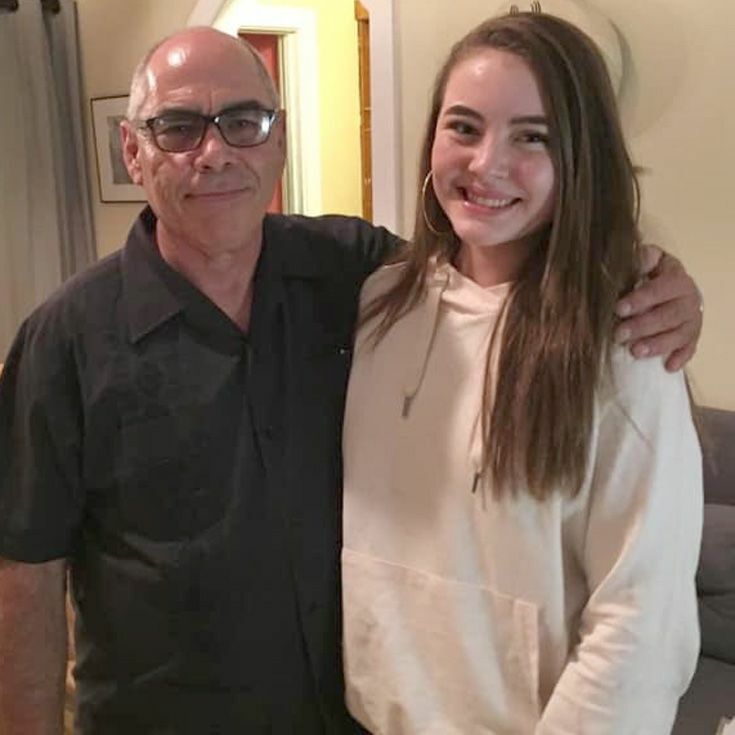 The other four collaborators, including Jimmy Santiago Baca, were at one time living on Albuquerque’s streets and grew up in the South Valley. They all are now longtime community activists and work with youth. The community discussion will tackle tough issues like incarceration, poverty, immigration, violence, and substance abuse/addiction and how to build a stronger community. The authors hope the book will help foster awareness and give some community members a voice. The book is the first step in creating a series of real stories intended to feature underserved communities, and bring them stories of hope, resilience, strength, family, and love. 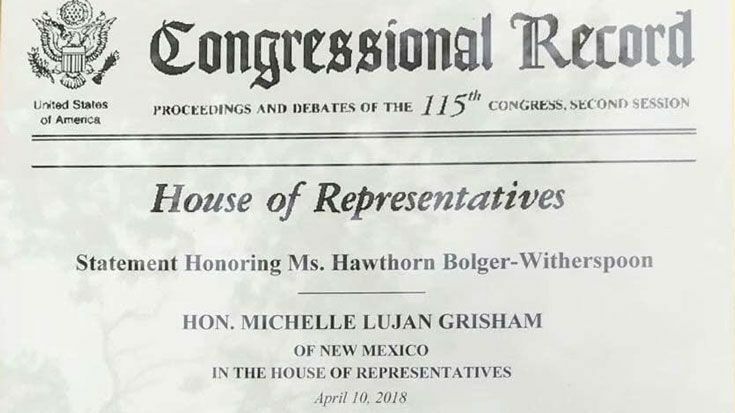 Last year, Hawthorn was recognized by Congresswoman-now-Governor Michelle Lujan Grisham; the recognition was recorded in the Congressional record. Mayor Tim Keller and First Lady Elizabeth Keller also formally congratulated Hawthorn. Hawthorn has been featured on KUNM’s The Children’s Hour, New Mexico Kids, and on KRQE and KOB.